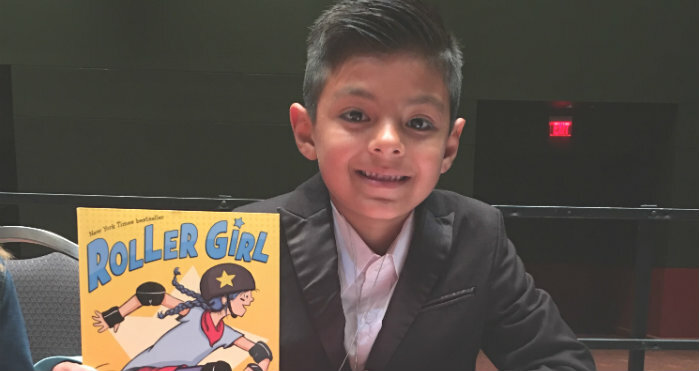 You could say John Peeler Elementary third-grader Nicholas Rodriguez is a big shot on his Oak Cliff campus these days. Rodriguez recently returned from the Texas Library Association’s Bluebonnet Awards luncheon in San Antonio where he represented thousands of his peers across Texas and met best-selling children’s book author, Victoria Jamieson, winner of the library association’s 2017 Bluebonnet award. One of the most prestigious awards for children’s literature in the nation, the Bluebonnet award is distinctive in that young readers in grades three through six select the winning author and book. To earn the privilege of voting for the winning book, students must read at least three of the 20 books nominated for the award. This year, hundreds of Texas schools in TLA Region 5 qualified to vote for their favorite author, including 107 schools in Dallas ISD. 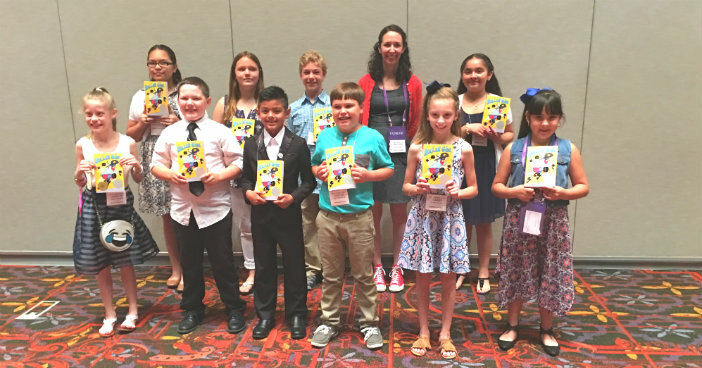 One child from each of the ten TLA districts is chosen to represent all the students in Texas at the Bluebonnet Awards luncheon held during the association’s annual conference. This year, John Peeler Elementary was selected to name the Region 5 representative, and Nicholas’ peers selected him for the honor. At the association’s expense, Nicholas and his parents traveled to the conference as VIPs. He addressed the luncheon guests, mingled with other TLA student representatives and met “Roller Girls” author Victoria Jamieson, who presented him a signed copy of the winning book – a heady experience he will likely long remember.